Back in February, boy doesn’t that seen like such a long time ago or is it just me? 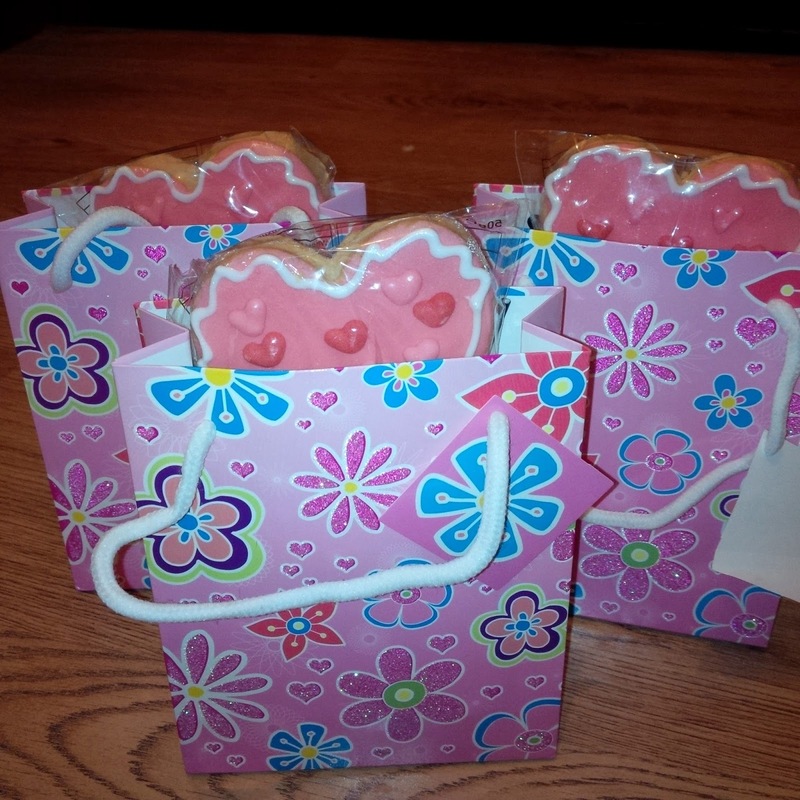 I wrote about how Olivia and I put together little gift bags for here aunties (you can read about it here to give you an idea). In her innocence she asked to put together little presents for my sisters as they do so much for her she wanted to a little something to show them how much she loved them and so there started our little ritual every mothers day. Being a little strapped for cash this year it was kind of a last minute thing. It always consists of gifts you can fit into a small perfume size gift bag and for around a fiver. 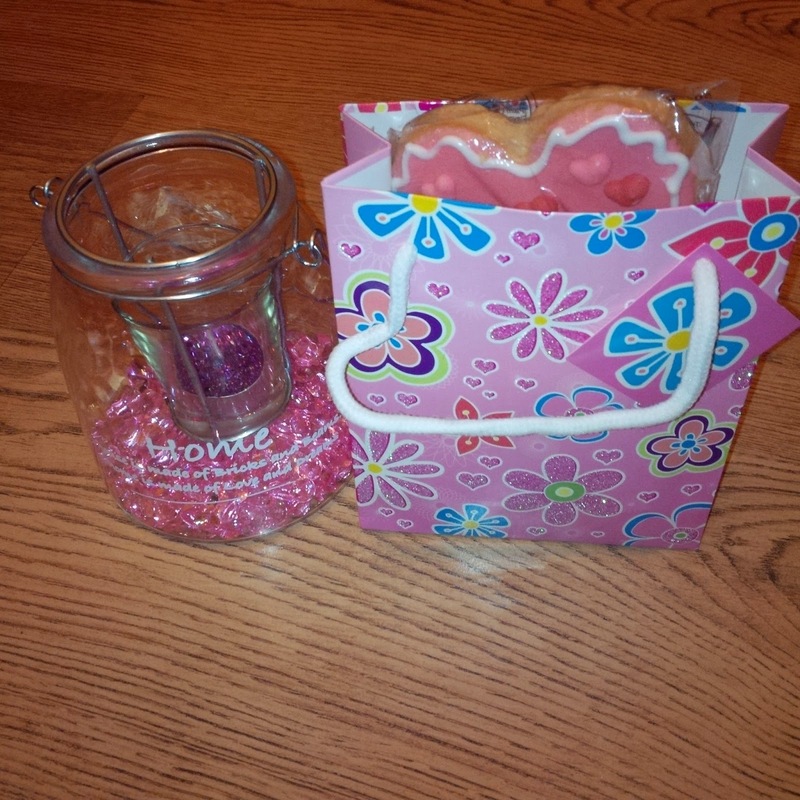 There is always sweets and usually either a little flower or jewellery/hair accessories. I am getting good at sale shopping and usually find some fabulous bargains but I have been slacking somewhat this year in that department. So I decided to do something different, I found these gorgeous little pots with ‘Home’ on the front and a tealight holder inside. 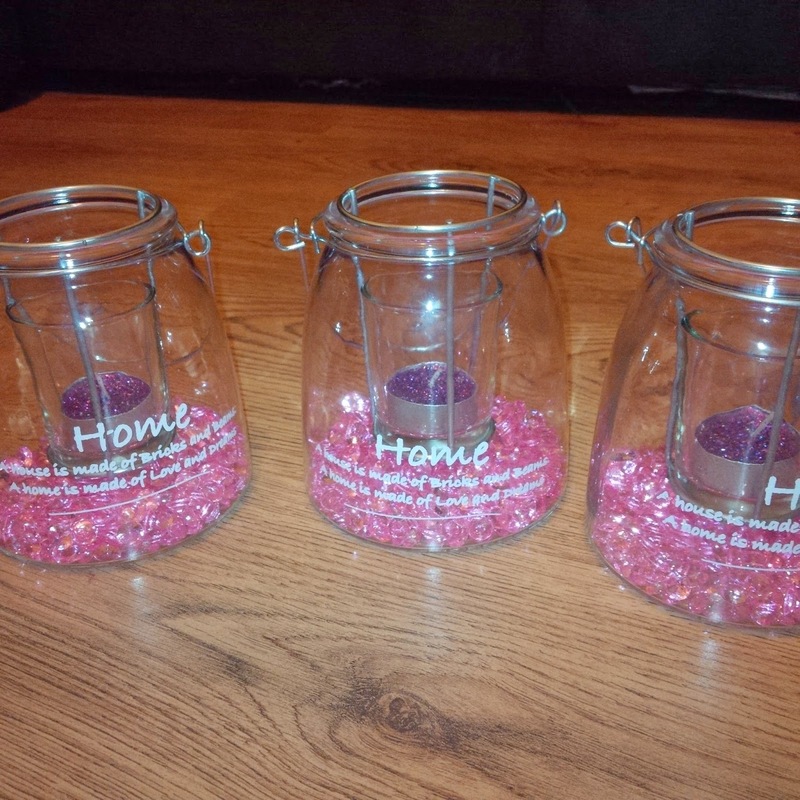 I filled them with pink scatter crystals and popped in a purple glitter tealight candle. They looked so cute I wanted to keep one for myself. 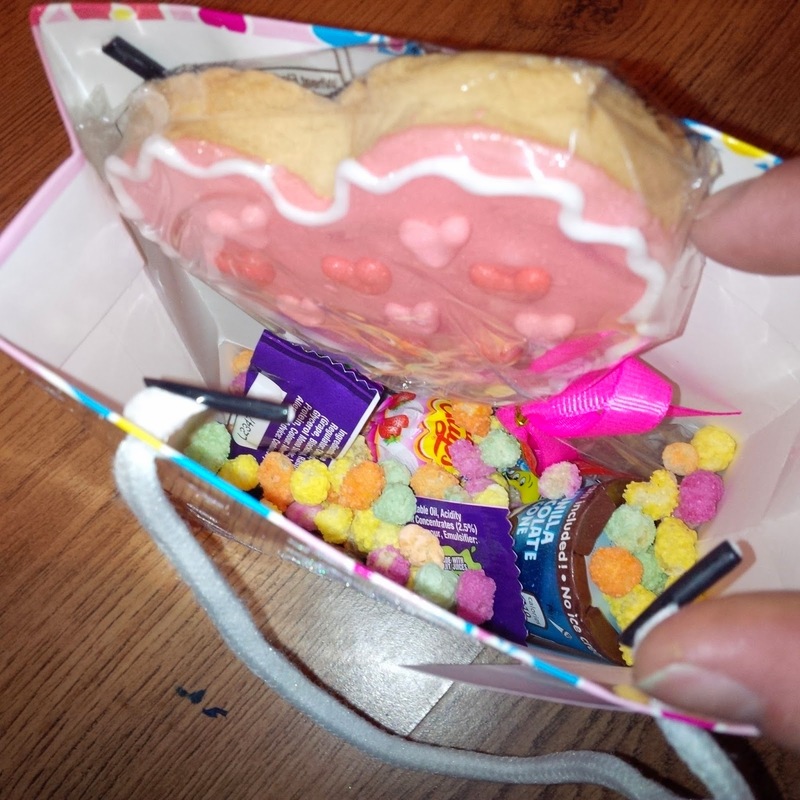 Next up were the sweetie bags. They ended up with a lollipop, rainbow drops, vimto bars, cookie pops and a cornetto, not the ice cream ones. Do you have any little family traditions you would like to share? Next Blog Linkys: Worth the effort?